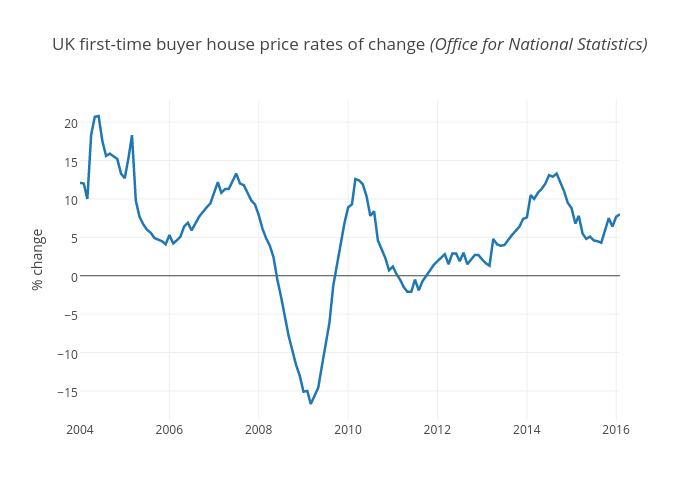 Berkeleysquares's interactive graph and data of "UK first-time buyer house price rates of change (Office for National Statistics)" is a line chart, showing Col2; with % change in the y-axis. The x-axis shows values from 2004-01-01 to 2016-02-01. The y-axis shows values from -18.78333333333333 to 22.883333333333333.